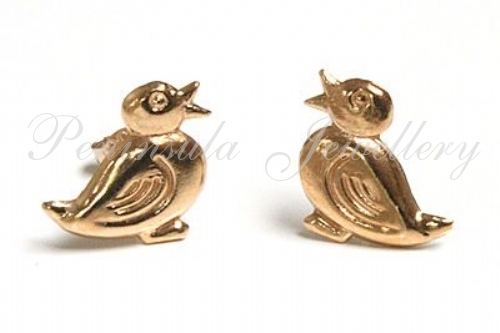 Cute Duck earrings crafted from 9ct gold. Standard 9ct gold posts and backs. Dimensions: 8x8mm. Free pair of comfort fit plastic backs included with these earrings - ideal for children! Made in England. Presented in a luxury gift box - great gift!